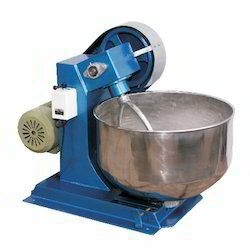 Our product range includes a wide range of flour kneading machine, biscuit kneading machine and flour mixer machine. Blessed and supported by the team of adroit professionals, our company is considered as one of the eminent manufacturers & exporters of Flour Kneading Machine. These machines can be easily installed at any location and are widely appreciated for their sturdy structure & rugged design. Quality steels and alloys are used during the manufacturing of these machines. To need large amount of flour at a time, our offered Flour Kneading Machine is used in hotels, restaurants, messes and canteens. A gun metal bush helps to rotate the bowl easily and long life, compare with Bearing. Even small quantity of flour is also kneaded..
We are offering Biscuit Kneading Machine to our clients. Handsome Deisgn smooth and noiseless operation in heavy load. The rotater of the whisk is a planetary motion self rotation anti clock wise and overall rotation clock wise so the result good sponging and higher yield. 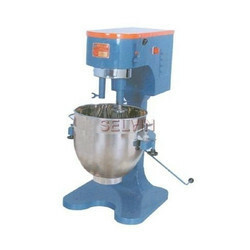 We are reckoned manufacturer, exporter and supplier of premium quality Flour Mixer Machine. The offered machine is designed using sophisticated technology and the finest quality components under the guidance of proficient professionals. Moreover, this machine is checked on different quality measures on order to ensure its quality. Our valuable clients can avail this machine from us at market leading prices.